Kinshofer’s P-Series orange peel grapples handle loads up to 4 cu. yds. within one cycle and are available with three, four or five tines. Kinshofer, a global manufacturer of excavator and loader crane attachments, offers an extensive range of excavator orange peel grapples for scrap, demolition, loading and unloading applications. The P-Series hydraulic system is fully enclosed and protected, reducing the risk of damage to hoses and other components. 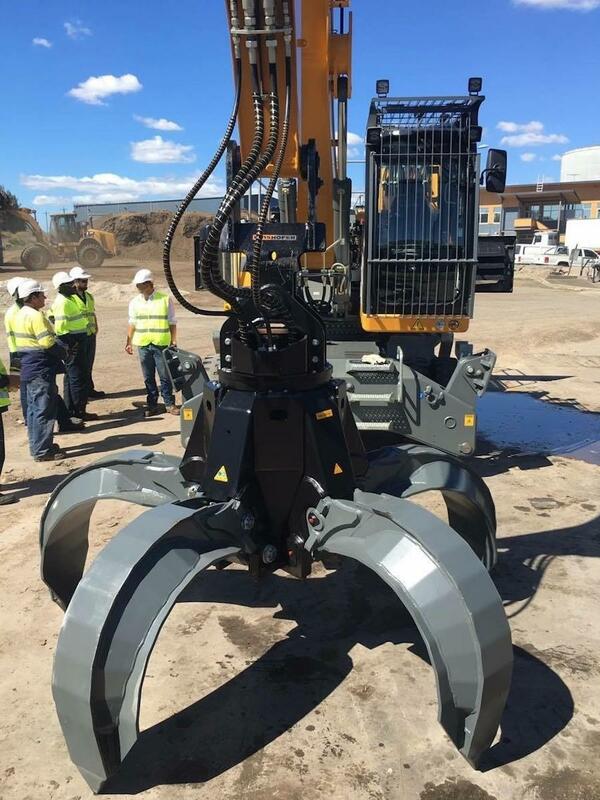 Additionally, the grapple's unique tine design enhances material penetration, increasing the amount contractors can safely secure in one cycle and saving time on the job site, according to the manufacturer. "We've spent 42 years researching and testing, in collaboration with our subsidiaries and clients, to develop the best orange peel grabs on the market," said Francois Martin, Kinshofer North America general manager. "During this time, we've spent countless hours ensuring components are FEA optimized to improve the attachment's life span while providing top of the line speed and force." The P-Series orange peel grapples handle loads up to 4 cu. yds. within one cycle and are available with three, four or five tines. 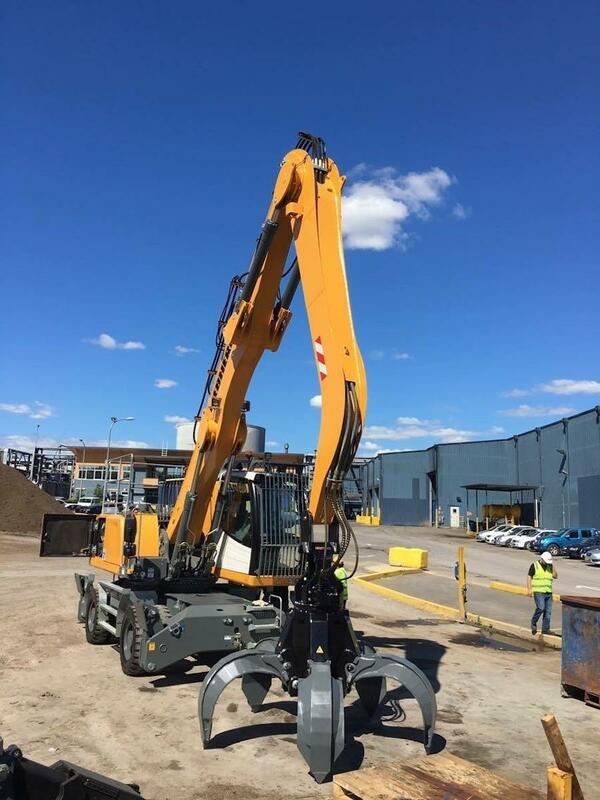 The grabs also come in four different tine profiles including fully closing, half closing, pointed and wide style pointed, effectively providing an optimized solution for any material. 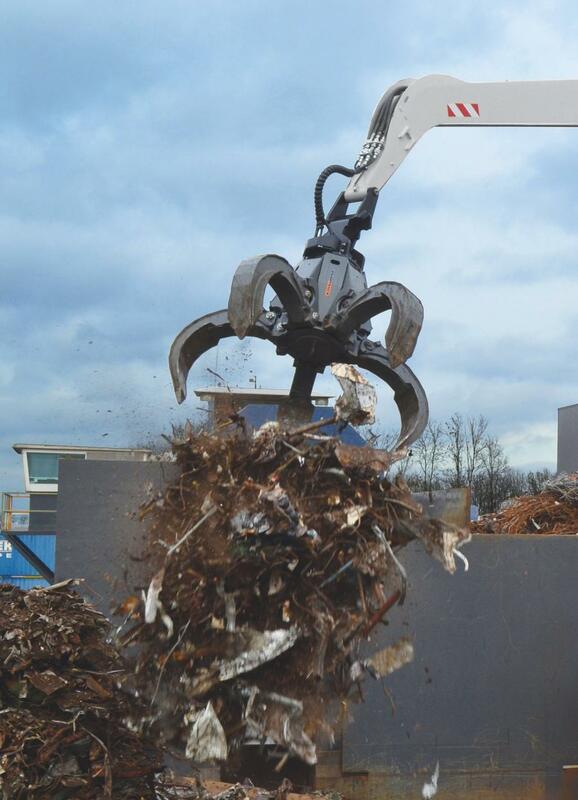 The slim design of the tines guarantees maximum penetration of scrap and demolition piles.